Let these functional and stylish pieces give your home a fresh look this New Year. Redecorating your home is one of the best ways to start the year. It creates a new vibe and makes you feel like you’re starting anew, too. To give your home a fresh look, you’ll need furniture pieces that combine aesthetics, functionality, and versatility. Below are unique pieces your home needs this new year. 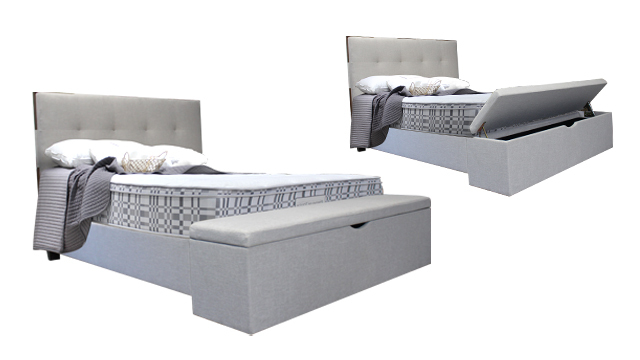 This elegant bed frame is made with luxurious fabric upholstery and features a tufted headboard and wooden accents. You can store linens and clothes in its built-in blanket box. 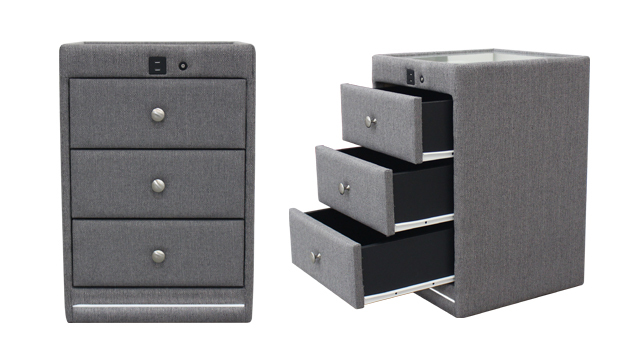 This glass-top bedside table has fabric upholstery and three drawers. It comes with two built-in USB ports and an LED nightlight with a dimmer. 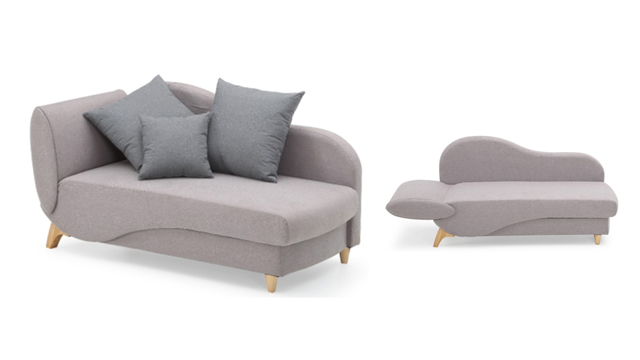 This convertible chaise lounge will brighten up a room with its graceful curves and soft-colored upholstery. Stylish and functional, it has a hidden storage compartment. 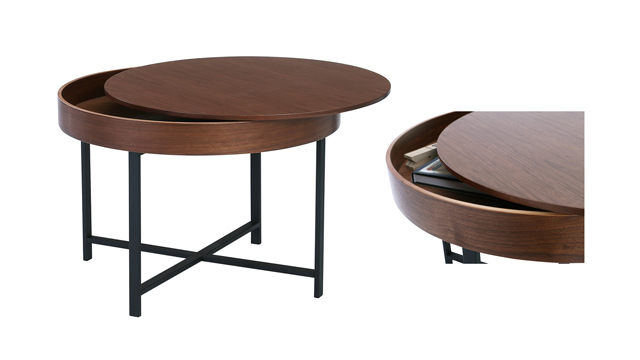 This round coffee table comes in an elegant walnut finish. The removable table top can also serve as a tray and the space below can become a storage compartment. 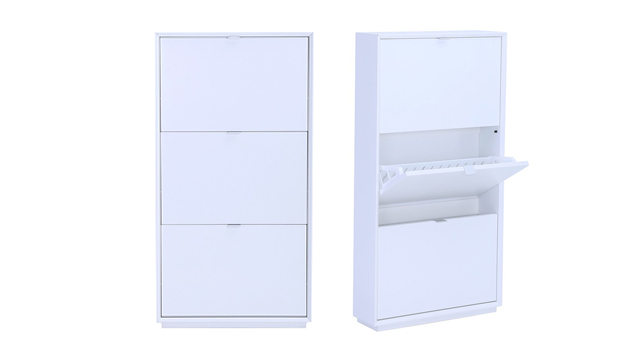 Get this compact three-tier shoe cabinet for tight spaces. More than just chic, it’s also practical because it can double as a table ledge if you use two side by side. Get it in white or gunmetal. Another compact piece, this bench is both stylish and functional. 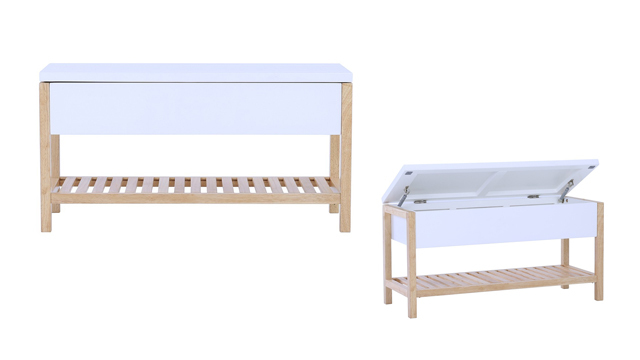 Its white seat and light wood accents will easily blend into any room. While primarily a bench, it gives you extra storage space when you lift up the top of the seat. The bottom also serves as a shoe rack. 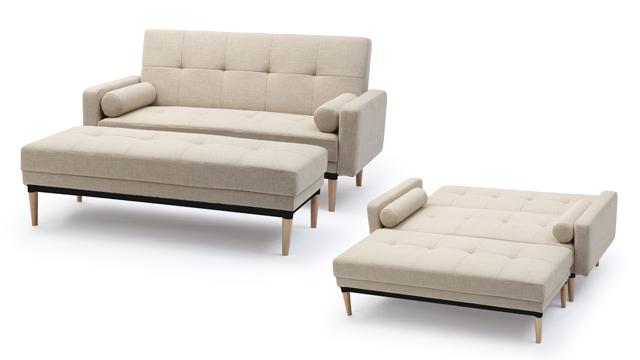 This Scandinavian-inspired furniture series features slim wooden legs and sleek integrated handles for a clean and streamlined look. 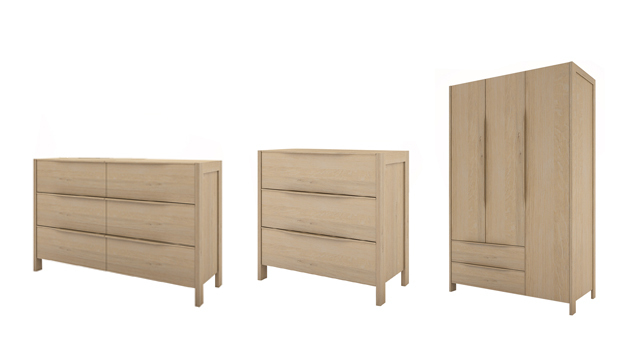 The pieces from the Larvik series help give small rooms the illusion of bigger space. They feature a smooth blonde oak finish that add color against greys and other earth-toned walls and furnishings. 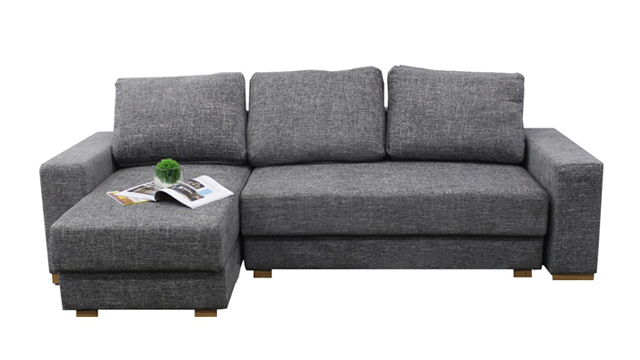 This chic L-shape fabric sofa is covered in a mod grey fabric. 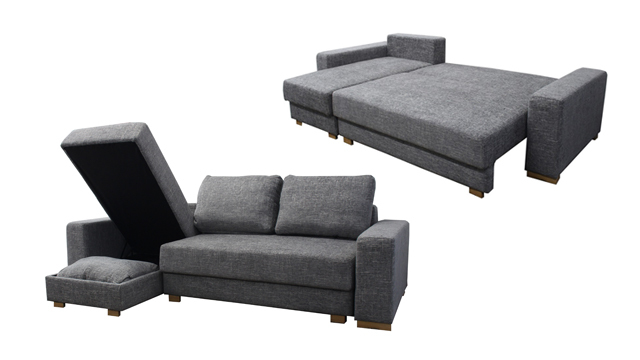 It gives you extra storage space underneath and transforms into a bed when fully stretched out. Looking for a statement piece for your living area? 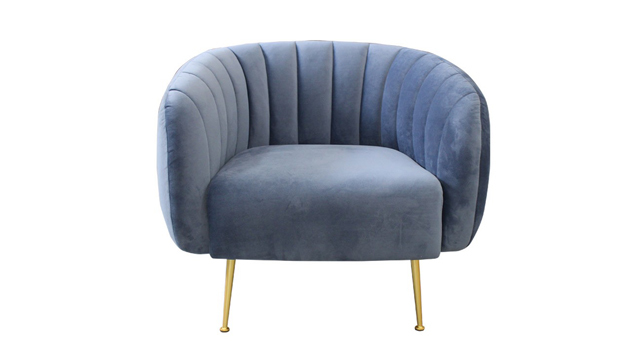 Check out this mid-century accent chair with matte brass legs designed by Malene Lillelund. All items are available at BLIMS Fine Furniture. Visit any BLIMS showroom to find a wide array of furniture. Visit their website or follow BLIMS on Facebook, Instagram, or Pinterest to get decor ideas for your space.